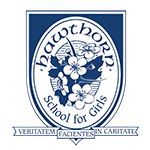 Hawthorn’s Upper School delivers an ambitious liberal arts education, preparing the leaders of tomorrow for university, the workplace, family life and the world beyond. The requirements of the Ministry of Education for the Ontario Secondary School Diploma are surpassed through learning opportunities both inside and outside the classroom. Hawthorn’s compulsory courses fine tune students’ capacity for critical thinking, round out their cultural literacy, and serve to educate the whole person: body, mind and soul. Classroom instruction is reinforced with a wide range of extra-curricular opportunities including sports, debating, subject-specific clubs, and international travel. Technology is used as a tool to enhance learning and students integrate it into their work. To view the complete textbook list, please click here. To download the Course Selection Calendar, which includes a full description of all courses offered in the Upper School and explains Ontario Secondary School Diploma and Hawthorn Diploma requirements, please click here. Please click on the image below to zoom in the courses table.